It is one of the most important events of the year when bigger names in the automobile industry showcase their projects under one roof. Many countries have developed this concept of presentation. This exhibition is held in most of the countries around the world where automobile industry has expanded its wings. These auto exhibitions have provided a platform to companies who want to present their future concepts and launch their new vehicle in the market. India has also organized the automobile exhibition on a timely basis. Here in India, the popularity of this exhibition is setting up new benchmarks with every passing year. Auto Expo, as the exhibition in India is named started off in 1986. From then, the exhibition has been creating a lot of buzz in automobile lovers around the country. The automobile industry in India has recognized the potential of such exhibition and therefore participated enthusiastically in the events. This has made Auto Expo one of the top seven automobile exhibitions around the world. Automobile companies from 30 countries participate in the exhibition. This year, the exhibition was held from 7th of February to 14th of February. As always, the exhibition was greeted with warmth by the enthusiasts from all over the country. Talking about big names, Maruti Suzuki has been one of the leading companies in automobile field. It has been coming up with new concepts every year, delivering supreme quality to the buyers. The level Maruti Suzuki has set up with its innovation is quite commendable. Even this year, Maruti Suzuki had attracted people with its new launches as well as concepts in the Auto Expo 2018. The concepts were appreciated by the experts and viewers alike. It showed the future plans of the company and how they are going to unfold it. Some of these models are to be launched by next year. Maruti Suzuki started off the Auto Expo 2018 in style with its concept vehicle named Concept Future-S. The car was anticipated for quite a while now. Experts suggested that the vehicle would be launched during the initial days of the exhibition. People were not disappointed as it was indeed launched on the first day. Talking about the car, it was based on Suzuki’s philosophy of ‘Compact is beautiful’. Maruti Suzuki seems to target people who are looking forward to buy a compact vehicle. The car is a micro-SUV designed with stylish features. As mentioned earlier, the unique feature of the car is its SUV modelled appearance. Though it is a compact vehicle, the design of the car tends to give a bit more space on the inside. The proportions of the vehicle are evenly distributed to provide comfort as well as elegant appearance from the outside. The bold and stylish headlamps are one of the attractive features of the car. The seating position in the interiors provides an all-around look to the person driving the car. The model presented in the exhibition was bright orange in color along with bold patterns. Maruti Suzuki E-Survivor is surely a concept for future transportation. Many companies have thought about commutation in future. 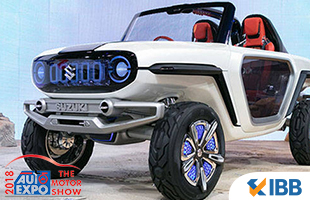 Maruti Suzuki, especially, has worked on the thoughts and came up with this amazing concept vehicle. E-Survivor is one of those cars you would see around in the future. The significance of this vehicle goes higher when we come to know that it runs on electricity rather than the common source of fuel. The coming future would have more electric vehicles for a sustainable development. Keeping that in mind, E-Survivor concept has been showcased in the Auto-Expo 2018. From its appearance, E-Survivor looks like an SUV designated for rugged roads. The shape and size of the body, as well as its light weighted structure, points to the fact that it can be your ride to rough roads. The concept emphasizes on electric four-wheel drive, with four in-wheel electric motors. The wheels are independently operated which gives the vehicle more control over the roads. This unique feature is generally found in vehicles which are meant to handle rough patches during the journey. The car has autonomous driving capacity along with manual mode for off road driving. The car would have ‘Connect to smartphone’ feature as well. One of the most successful cars that Maruti Suzuki has produce, Swift has not been out of business even in this year’s Auto Expo. It was expected that Maruti Suzuki would launch their new version of Swift in the upcoming Auto Expo. They stood up to the expectations as the brand new Swift was showcased in the exhibition. The company’s main focus was to work on the design while keeping the performance up to the mark. The new Swift has everything a person seeks in a hatchback model. The new Swift has the essence of the older one along with stylish designs and improved performance. It is certainly the one you should go for if you were going to buy the previous version of the hatchback model. The new version of Swift comes with floating roof and wrap around windows. The headlamps are modified in design and they have inbuilt projectors. In terms of infotainment, the car has evolved too. You can now easily access Apple CarPlay as well as Android Auto. The designers have also emphasized over driver’s space and modified it for ease and comfort. Making progress with the event, Maruti Suzuki presented another car, Maruti Suzuki S-Cross at Auto Expo 2018. Judging by the looks, S-Cross stood up to the design and appearance expectations. It can be said that Maruti Suzuki excelled at the exhibition due to its concepts as well as launches. The New S-Cross, as mentioned by the company, makes statement wherever it goes. It certainly did as it mentioned. It has an all metal grille at the front while also having LED headlamps. The design is muscular and gives it a bold look. Coming on to the features, S-Cross has distinctive ones which make it a worth buy. The new S-Cross comes with stylish alloy wheels and full metal grille. The car has DDiS SmartHybrid diesel engine which has proven its worth in all the tests. Talking about the interiors, the car has infotainment features as well. You have the access to Android Auto as well as Apple CarPlay. The car also has NEXA safety shield, installed in every version. The interiors are designed keeping comfort in mind. There is also soft-touch instrument panel feature in the interiors. Overall, the car stands for its aggressive looks and quality features. Another car by Maruti Suzuki which has already stood up to the competition in the market, Maruti Suzuki Ciaz was also presented in the Auto Expo 2018. The sedan class of Maruti Suzuki, Ciaz has been chosen for its charm and elegance. When it was presented in Auto Expo 2018, the viewers applauded and praised the designers as well as the company. Talking about the car, Ciaz comes with an expansive body with ample space. One can judge it by the fact that interiors are comfortable with enough leg room, headroom and shoulder room. Moving on, Maruti Suzuki Ciaz has worked on providing comfort to the driver as well as other people sitting in the car. Ciaz is available in both automatic as well as manual transmission which makes it a popular choice amongst buyers. It comes with DDiS 200 SmartHybrid diesel engine with power-packed performance reviews. In the infotainment department, the car comes with Apple CarPlay as well as Android Auto option. Apart from this, the car comes with NEXA safety shield for security. According to the experts, Ciaz has improved the design and worked on the performance to give the buyers a much worthy option. Maruti Suzuki seems to have prepared itself for the exhibition. The company has done its homework and it was visible with their new unveilings. This time the car was Maruti Suzuki Baleno. It is has become one of the most successful cars in the market in recent times. The car which was unveiled in the exhibition did not lose its essence from the previous versions. Keeping that in mind, Maruti Suzuki presented the car with innovative features. The most talked about aspect of the car was its design as well as interiors. The new Baleno comes with stylish dashboard and all black interiors which enriches the appearance of the car. The car is based on liquid flow design giving it a charming look from the outside. As a matter of fact, Baleno has always been the topmost choice when it comes to exterior designing. Moreover, the hatchback model comes with unmatched infotainment system. You have Apple CarPlay and Android Auto inbuilt. The multi-information display brings another unique aspect to the interiors. Apart from these features, the new Baleno comes with NEXA security system as well. One cannot complain about any aspect of this car. When it comes to spacious cars, Maruti Suzuki Ertiga is within the topmost choices. In this year’s Auto Expo, Ertiga was also presented along with other cars by Maruti Suzuki. Needless to say that Ertiga is already a big name in the automobile industry. For those people who love to go on trips or long rides, Ertiga is probably the best choice. The spacious interiors as well as brilliant design make the choice easier for you. Ertiga can make your journey delightful as well as safer. The flexi-seating capability of the car gives space to enough people for a long journey. Talking about the features, the most important ones are the interior designing as well as spacious and comfortable seating. You have ample space to rest your legs. Another important feature is flexi-seating capability. You can have seven people seated without any difficulties. The car comes with powerful DDiS 200 diesel engine. It also has 4-speed automatic transmission feature which has been appreciated by the people. When it comes to infotainment, the car has the feature of Apple CarPlay as well as Android Auto. You journey would be filled with excitement and joy without any discomfort. For those people who consider glamour and style the utmost characteristics of a vehicle, Maruti Suzuki has something in its bag. Auto Expo 2018 was all about concepts and future designing. Amid these, Maruti Suzuki managed to keep their already launched product in talks by presenting them in the exhibition. Vitara Brezza was one of the cars showcased by Maruti Suzuki. Brezza is popular for its sporty look. It comes in dual color style which enhances the look even more. The bold front grille as well as the chrome finishing gives the vehicle another point in the terms of appearance. Overall, Vitara Brezza has a muscular and bold appearance which is highlighted with dual coloring of the car. One gets to have variant features with this vehicle. Talking about features, one of the most talked about is cruise control feature. The car also comes with push start button giving people another reason to buy. The car is equipped with infotainment as it comes with Apple CarPlay and Android Auto feature. You also get to have automatic wipers with rain sensing technology. There are automatic headlamps as well.  These features are matched with quality performance of the vehicle. With these cars and concepts being presented, Maruti Suzuki embarked its name over Auto Expo 2018. Keeping in mind of the upcoming requirements, Maruti Suzuki worked on the concepts to give the automobile industry some new products to talk about. Most importantly, the electric vehicle concept was lauded by the experts as it synchronizes with the progress in technology. One also must give it to Maruti Suzuki for improving the performance factor of different cars. The new Swift is an example of striving for excellence by Maruti Suzuki. Overall one can say that Maruti Suzuki had a brilliant campaign in the exhibition.